I am the world’s leading hair product skeptic. All the new fads and trends everyone seems to jump on so quickly, I give the side-eye. 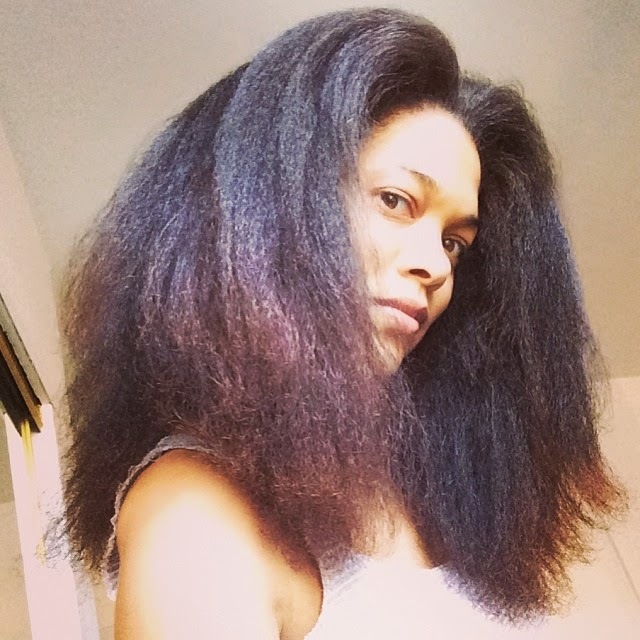 When the natural hair youtube/blog/twitter-verse burst with excitement over the next miracle product or tool, I tend to think see the clamorers as residents of Jonestown pouring the latest flavor of Kool-aid over their curls. This was certainly my reaction to the fervor over the Tangle Teezer (TT). The curly collective consciousness seemed to be that the TT was THE TRUTH. As I am a firm believer in the independent investigation of truth, of not blindly following without looking where I’m leaping, I gave the TT the super side-eye. No one tool should have all that power. In spite of my skepticism, I purchased a TT of my very own, mostly because I wanted an excuse to check out the new Sally’s Beauty Supply that opened a few miles from my neighborhood. The folks at Sally’s were more than helpful, giving me discounts left and right, including a nice $10 discount that essentially rendered my TT purchase free! Not having to pay for it made me feel better about going home with that particular cup of Kool-aid. Ok, here is the part where you find out whether my skepticism had any merits. YES. IT. DID. Y’all TT devotees are straight bugging! If it hadn’t been free, I would bring that joint straight back to Sally’s! Let me be more specific, so as not to be accused of guzzling Haterade. The TT does detangle, so in that sense, it does its job. However, the claims that the TT pulls out far less hair, breaks hair less and makes detangling that much easier are grossly over-exaggerated. I did not find the detangling process any easier. In fact, it took perhaps twice as long because I had to go through each section of hair for a much longer period than I would with a wide-tooth comb or a Denman brush. There was absolutely no curl definition when I was finished and there was just as much pulled/broken hair in the TT as there typically is in my Denman. I did find that the TT did a decent job of detangling on damp hair (i.e. third/fourth day hair lightly spritzed with your water/conditioning spray of choice) in order to create a blowout effect. This may be the only use I have for my TT going forward. I’ve tried it a few times now and in a few different ways just to be sure and I remain vindicated in my skepticism. The moral of this story? Don’t believe the hype and don’t drink Kool-aid, ‘cause water is way better for you and your hair. A note about my use of a Denman: some might try and accuse me of drinking the Kool-aid by using one, but I have been using a Denman or Denman-style brush almost since I first became natural. My dear sister from another mother (model/actress extraordinaire) was the one who put me on over a decade ago. She made my life easier and my hair way more fly (she also taught me how to drive stick-shift), so if she’s pouring the punch, I’m at least gonna take a sip. I totally agree. This product didn't give me the wow effect that othersspoke of it was just ok. I use a big wide toothed plastic pick to dangle and it does so wonderfully. Wasn't impressed it took.twice as long with the TT. Glad I'm not alone! I have one. I find that it does take me a lot longer to detangle. But I think I have a little bit less hair in the brush after compared to the Denman. I have to cut out fewer knots though. I'm going to give it one more try and time myself before I decide to go back to the Denman. Great review. Nice to hear the real truth. My son has (if you go for typing) what I would describe as 3b in the crown and 3c with a touch of 4a underneath. Stretched it is almost BSL. I don't detanlge his hair every day because he is 2 and it becomes a battle. The TT works like a dream on his hair. A couple of squirts with water and even hair that has not been done in 3 or 4 days is no problem. No crying, no head jerking. I can even get down to his scalp and he hardly notices. My 4c hair is a totally differnt story. I had to make many more strokes with the TT and I could only get to the scalp comfortably on the sections of my hair that have a looser pattern. I do agree that if I ever want to simulate a blown out afro I will use it with a litte bit of moisturizer. I like having a handle so for me back to my Denman-type and wide tooth comb. I like the Tangle Teezer and I tried it before everyone went crazy for it. It has cut my detangle time down, but I definitely can't use it as my only detangling tool. The same can be said of the Devil aka the Denman-lol. I don't lose as much hair as I do with the Denman, but I still lose a lot of hair. I would not use it on dry hair. I think the ladies on all the Youtube vids pre-detangled before using it. The denman does a lot better job at smoothing and curl-definition. I actually love the TT. I've found that my curls are very much defined and my detangling process is cut in half. It could partially have something to do with the length and type of my hair.